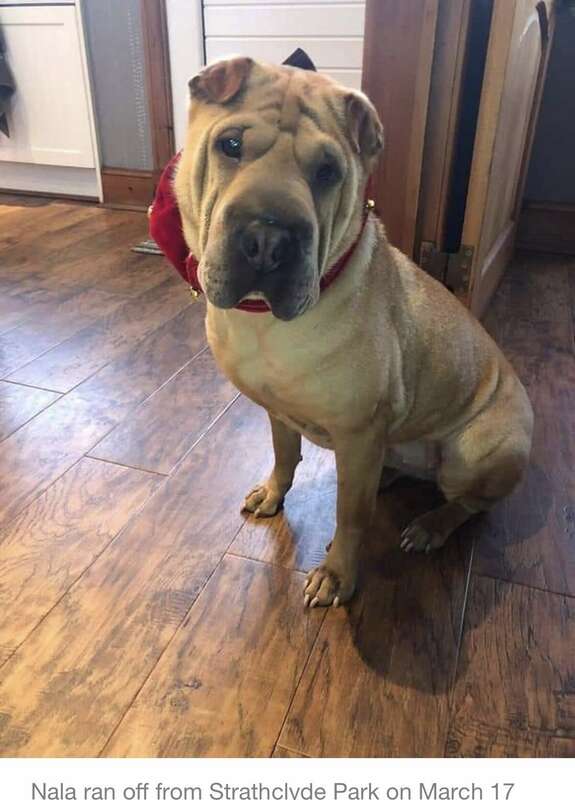 The lovable Shar Pei ran off in Strathclyde Country Park 12 days ago after being attacked by another dog. 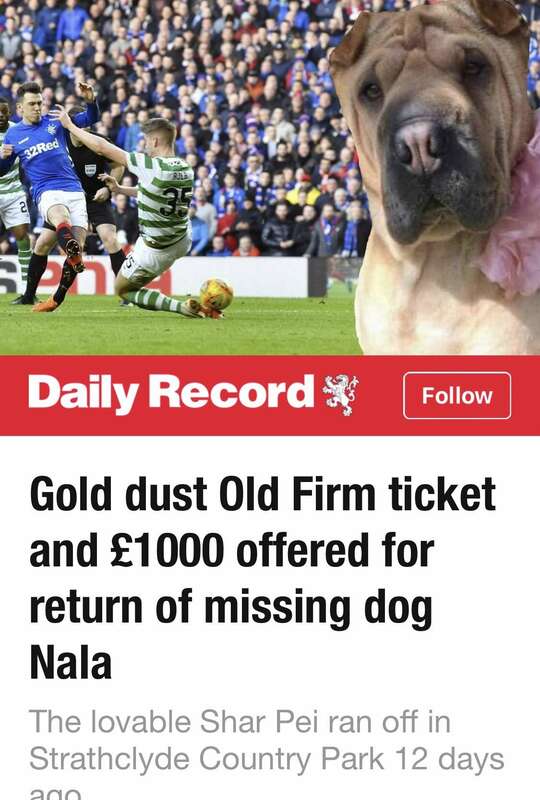 The distraught family of a missing dog are offering a ticket for the Old Firm on Sunday to the person who can return her home safely. Her owners are becoming increasingly concerned about her whereabouts and are eager to get her home where she belongs. A post was made on the Help Find Nala Facebook page offering the gold dust ticket as well as £1000 reward. It said: “Can you find Nala before Sunday? “We have received a very kind and generous offer from someone who wishes to remain anonymous. It’s thought that Nala has a bite wound and a bleeding paw as a result of the injury after being attacked by another dog. The ‘Help Find Nala’ page already has over 2000 members, however there have been no confirmed sightings of Nala. If you have seen Nala, contact the Facebook page.